The Visitor Centre is open every Wednesday, Saturday and Sunday and most Bank Holidays from 10am until 4pm and provides a warm welcome for all our visitors. Disabled parking and toilets can be found adjacent to the Centre together with nearby picnic areas. Pop in for a tea or coffee and on most weekends you can try homemade cakes and buns specially made by our volunteer team. To cool you down during the summer months cold drinks and ice creams are available. 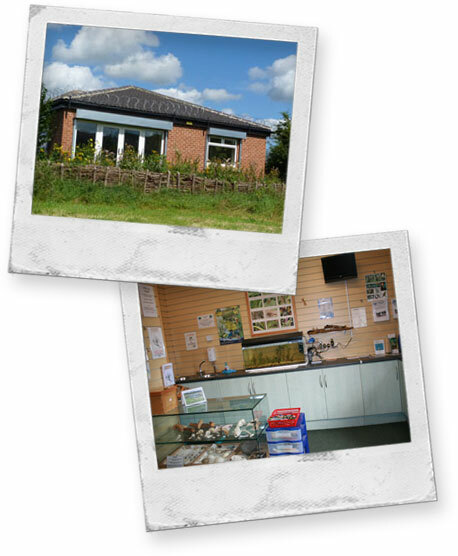 For children the Centre carries a wide selection of pocket money toys and, to further the cause of wildlife, the Centre also has an extensive range of nest boxes, feeders and bird food at very competitive prices. There are Bee Hives on the Reserve and Rodley honey is occasionally available for sale in the Visitor Centre. Specific to the Reserve the latest Annual Report, calendars and cards are available along with caps carrying the Rodley Nature Reserve logo. The Visitor Centre also incorporates a display area which gives an insight into the biodiversity of the Reserve with numerous pictorial, egg and skeletal displays together with a living freshwater display and Harvest Mouse tanks. Binoculars are available for loan and pond dipping is a must for most visiting children from April to October – nets, trays and ID sheets are all available at the Centre.